Directed by the master of 70s Yakuza thrillers Kinji Fukasaku, and featuring Kill Bill star Chiaki Kuriyama, Battle Royale is a milestone in the history of extreme Asian cinema in the 21st Century, a film which broke out beyond far its national borders. Even the recent YA hit franchise The Hunger Games seems to owe a debt to it. 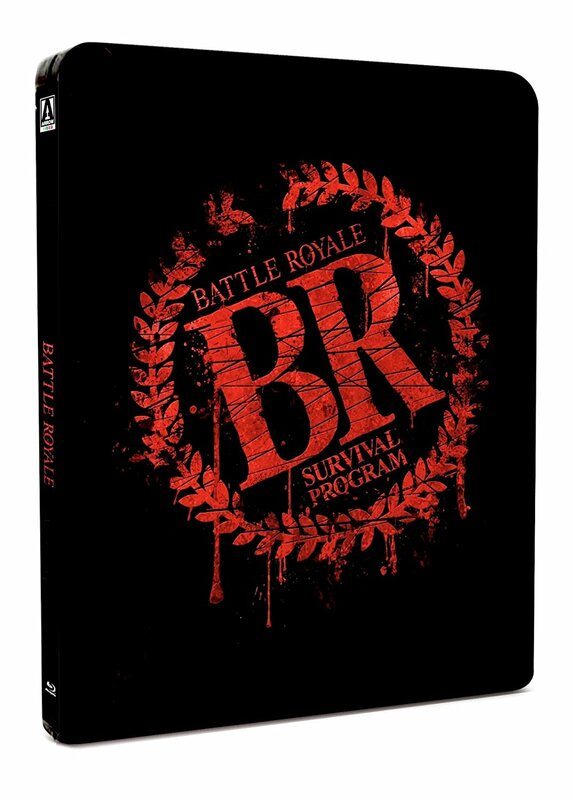 In a world where teenagers have no respect and adults are losing control, there can be only one solution: Battle Royale! In a dystopian future, the Japanese government has hit upon a brutally simple concept to keep society in line and allow a cowed populace a chance to get kick out of it in the process: let a high school class loose on an island, arm them and then give them a simple choice… kill your friends or be killed instead. Your weapons: poison, cross-bows, machetes, dynamite, even your own body. ‘Beat’ Takeshi Kitano (Violent Cop, Zatoichi) stars as a teacher pushed to the edge, with his pupils merely the latest in a long line of kids thrown into the meat grinder. This twisted, ultra-violent thriller really does have it all.